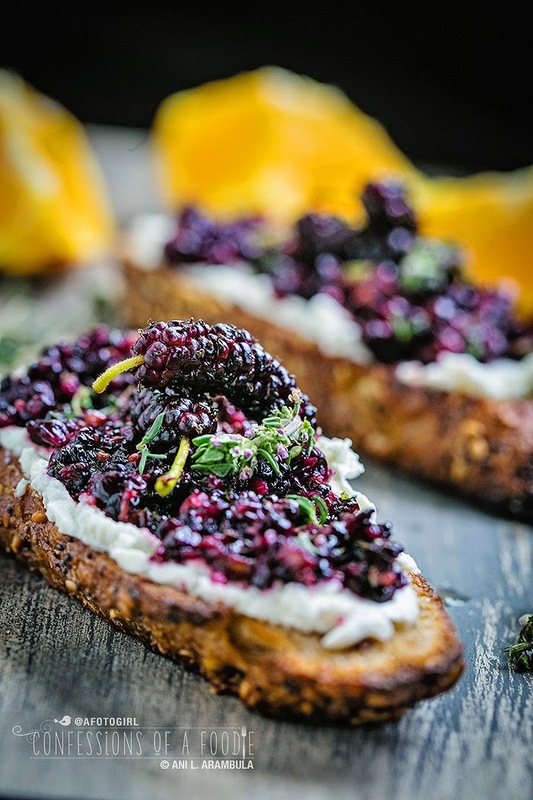 Mulberries and goat cheese pair well for this simple, quick tartine accented with oranges and fresh thyme. 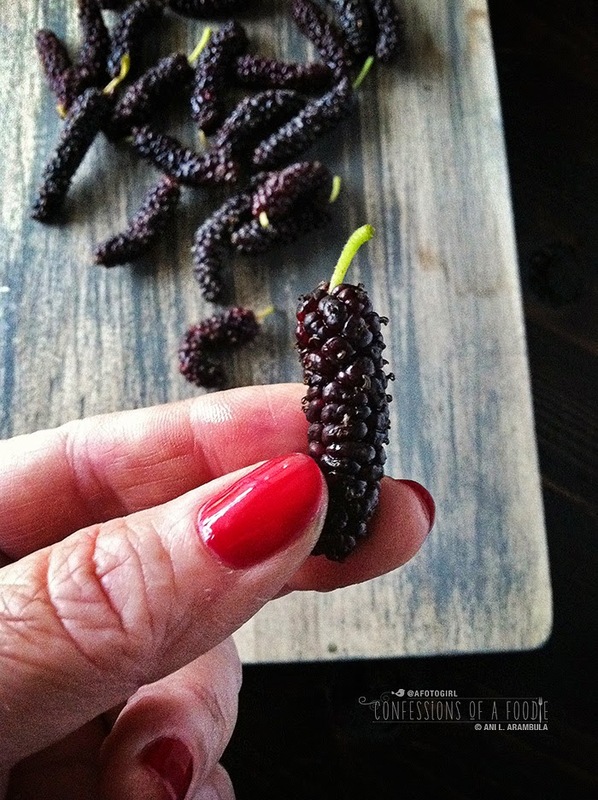 When mulberries showed up in my farmer's market box, I had no idea what they were or what to do with them. A bit of crowdsourcing later and I got tons of suggestions from making jam, to popping them straight into one's mouth, to roasting with honey. I went with a quick roast to soften the berries and help them release their juices. This makes a simple, quick breakfast for two. On toast. Who doesn't like toast?? Preheat oven to 400 degrees Fahrenheit. Spray a second small rimmed baking sheet with cooking spray; set aside. Line a small rimmed baking sheet with aluminum foil. Spray with cooking spray; set aside. Spread butter on one side of all four slices of bread. Place on unlined prepared baking sheet butter side up; set aside. Reserve 8 small berries and set aside. Remove stems from remaining berries then toss with orange juice, 1 teaspoon of the thyme leaves and honey in a small bowl to cover well. Pour onto foil-lined baking sheet. 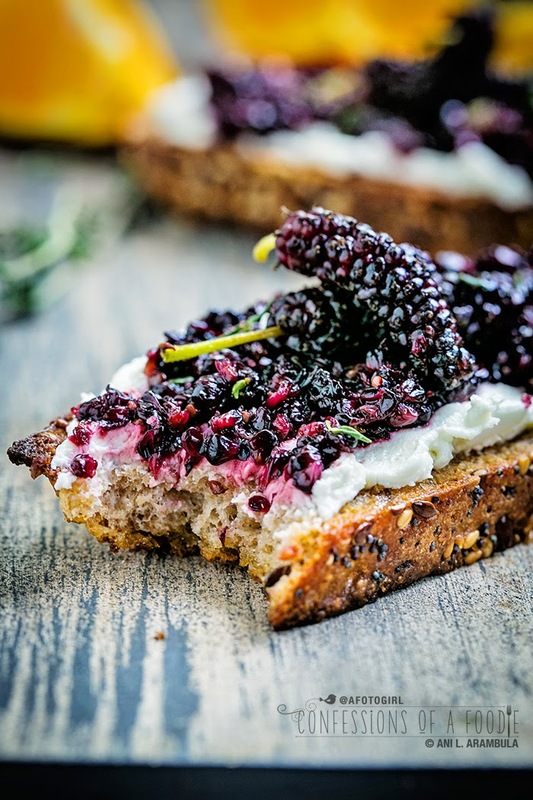 Place both berries and bread into oven and roast for 8 to 12 minutes until bread is toasted and berries are softened. Remove from oven. Mash the berries with a fork and pour back into a small bowl. 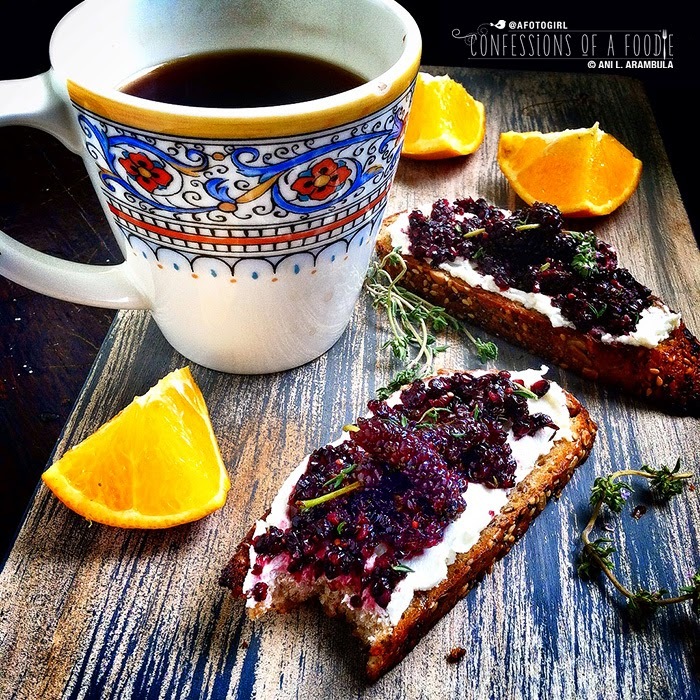 Spread a tablespoon of goat cheese on each of the toasts. Divide the berry mixture between the toasts. Top with a fresh berry and sprinkle remaining thyme evenly over all four toasts. Finish with sprinkling of Blackberry Sea Salt or flaked sea salt, optional.